The weight of your trucking shipment is something that you could keep an eye on closely while you are shipping. After all, this might determine what vehicle should transport your freight. For example, if you are shipping less-than-truckload (LTL), after the driver makes the pickup and your freight is brought to the origin terminal, an inspection could be completed. And that inspection includes both weight and class. 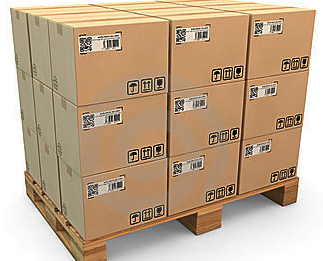 In addition, the weight of your freight shipment is used to calculate the density. The equation for this is the weight divided by cubic feet. This equals pounds per cubic feet. And this is usually used with sub-classes. Your trusted freight forwarder can give you more information about the sub-classes. As you can see, weight might play a role on your domestic freight shipments. One term that is associated with the weight of trucking freight is payload. Most people know payload simply as the weight of the cargo. In the logistics industry, the payload of a truck refers to the maximum weight allowed. This might not include cargo devices and dunnage. And then you also have actual payload, which is the weight without the containers. When you get an instant LTL cargo shipping quote online, you will be asked to provide several information about your shipment so that you can receive an accurate shipping rate. Among the important information to provide is the weight per item. That is why some shippers should especially know what the weight of their shipment is, as this might impact the rates they pay.